Pay attention to this announcement, or I swear by my pretty, floral bonnet I will end you. Looney Labs is teaming up once again to bring you a new version of their popular card game, Fluxx. This time the partner is Gale Force 9 and the Fluxx variant is based on the popular series Firefly. Andy Looney, Chief Creative Officer of Looney Labs said, "We love the adventures of the crew of the Serenity, and welcoming them into the Fluxx 'Verse has been wonderful. It's a natural fit, as both Mal and Fluxx players have to constantly adapt the rules in order to win!" 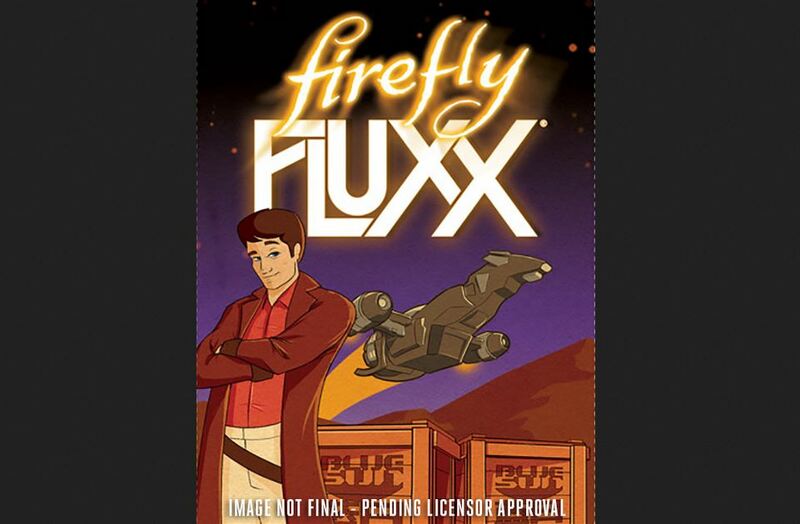 John Kovaleski of Gale Force Nine stated, "We are excited to introduce the Browncoat Nation to Firefly Fluxx. We have been playing Fluxx for years and this version of the card game with ever-changing rules will not disappoint. It's fast, fun, and Shiny!" Expect Fluxx: Firefly to be on store shelves early in 2016.